Having trouble getting to sleep is one of life’s terrible afflictions, not only does your disruptive sleep pattern ruin your night and prevent you from fully relaxing, it also leaves you feeling exhausted and drained the next day too. People who get less sleep have a harder time concentrating and retaining information, and a lack of sleep is generally bad for your health. Remember, your body restores itself when you sleep so if you’re not getting enough rest you will eventually burn out and become ill. Meditation music is designed to relax and calm you, so it is great when you want to fall into a deep sleep and block out all the thoughts swirling around your brain. For this list we have chosen some of the best sleep playlists that are especially designed to help you nod off with ease. Soothe yourself to sleep with this video for deep sleep, inner peace and autogenic training. Sleeping at night at least 6 hours is vital to be more productive and awake during the day. 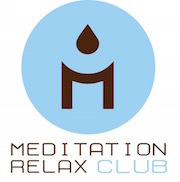 One of the most popular videos on Youtube comes from Meditation Relax Club, this playlist is guaranteed to relax your mind and help you fall into a heavy slumber. If you are stil skeptical, read all the comments. Everyone wants to have sweet dreams, and this music will certainly help you to achieve that with its dream inducing peaceful nature sounds with running water and relaxing background noise. Sometimes a little white noise is all you need to block out the racing thoughts keeping you up. With almost two hours of white noise tracks, this playlist will stop you having to count sheep ever again. And lastly a Christmas sleep playlist with beautiful angels voices and chimes. Perfect to play on Christmas Eve, or anytime throughout the festive season. Also makes great background music during your Christmas meal or whilst decorating the Christmas tree! We hope you sleep soundly tonight, sweet dreams everyone!